Oh this is such a dreamy bedroom! 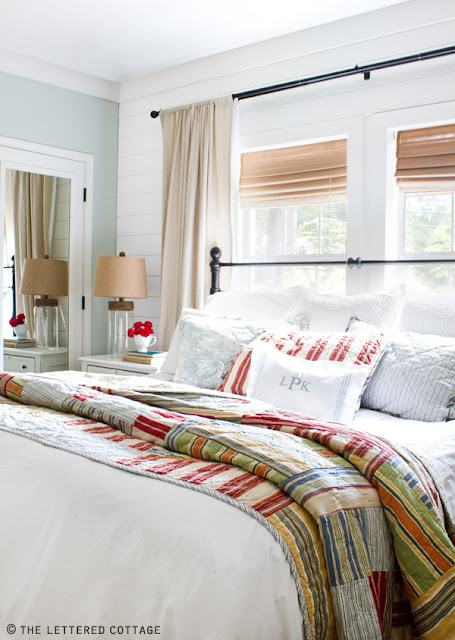 All of the natural light, colorful quilts, paneled walls and mirrored doors! Love it. Love this room...so bright and cheerful! I love this look, as well! Thanks for sharing!